Vintage Ports are the top wines of a single outstanding harvest and are ports made to age in the bottle. They have exceptional organoleptic characteristics, showing a dark red colour, a great structure and intense fruit aromas and flavours. Krohn Vintage is taken in the best years when a blend of ports from Quinta do Retiro Novo and other neighbouring vineyards produces the most complex wine with great potential longevity. They are bottled two years after the harvest and in most cases spend many years maturing in the bottle. 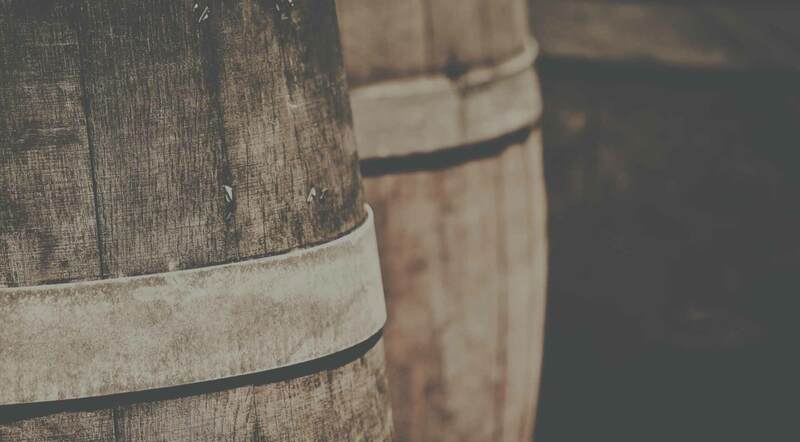 Through this ageing process Vintage Ports are kept away from the influence of the atmosphere, which makes them loose their colour very slowly and retain their typical fruitness. In order to maintain richness and power they are neither fined nor filtered, therefore throwing a large amount of sediment as they mature. For this reason, they should be decanted before being served. Once opened, a Vintage bottle should be drunk the same day to keep the exceptional quality untouched. Vintage Port is a drink for after a meal. Enjoy them with cheese like Stilton or Gorgonzola. But you can also incorporate them into a meal, combining for instance a Steak au Poivre with a young Vintage. Deep purple-black centre with a vivid purple rim. The quality of the fruit is immediately apparent on the nose. It displays the hallmark ripeness and dark berry aromas of Retiro Novo, the Krohn property in the Rio Torto valley, but there are also crisp red berries, fresh plum and apricot to provide lift and vigour. The nose is very aromatic, pungent notes of rock rose blending with savoury marjoram and thyme and floral scents of rose and violet. In the background there is an evocative woodland redolence of pine needles and bracken. The palate is svelte and racy, with tightly wound, linear tannins and fresh berry fruit flavours carrying through into the long finish. A beautifully expressive Vintage Port, fine and fragrant, but with the depth and intensity characteristic of the 2017 vintage. The vineyard cycle got off to an early start, with the first buds emerging between 8th and 10th March, in spite of the cold, dry weather. The very dry Spring stood out as a defining feature of the 2017 viticultural year. Only a few millimetres of rain fell in April, usually one of the wettest months, with May and June continuing dry. Temperatures were above average for the period. The early development of the vines continued, with flowering starting right at the beginning of May and a very early véraison making its appearance around 18th June. The drought conditions continued throughout the summer and until the end of September. July was hot but, fortunately, the temperatures in August fell to more moderate levels, particularly at night, encouraging balanced ripening of the crop. Picking at Krohn’s Quinta do Retiro Novo, in the Rio Torto valley, began much earlier than usual on 4th September. As was to be expected following the dry ripening season, yields were low and the musts were exceptionally concentrated and deeply coloured. Deep ruby black with narrow purple rim. A nose of wonderfully pure, vibrant red fruit, with crisp aromas of cranberry, raspberry and cherry and lively notes of plum and apricot. Emerging in turn from behind this curtain of fresh fruit are spicy aromas of black pepper and nutmeg, warm notes of mocha and scents of cedar wood and balsamic herbs. In contrast, the palate is voluptuous, with dense, mouth filling tannins providing both body and firmness and a thick coulis of black woodland fruit that flows into the endless finish. Although the first impression is of an ethereal purity, the wine develops an intricate complexity in the glass and displays the powerful but beautifully integrated tannins which are a hallmark of the vintage. The viticultural year in the Douro Valley began with a very wet spring. This rainfall was welcome after the very dry conditions in 2015 and helped restore ground water reserves throughout the region. On the other hand, these cool and wet spring conditions also led to late start of ripening season. After spring, summer was particularly hot and dry, which continued until late September. In spite of the heat, due to the abundant ground water reserves and the late cycle, maturation was slow and even. By the end of August, most grapes were not yet ripe but, in mid-September, a spell of rain helped accelerate and complete the ripening process. From the second half of September and well into October, the weather provided ideal harvesting conditions. Low night-time temperatures helped to extend fermentation times and allow for gradual and gentle extraction, which contributed to the great quality of the tannins and the elegance of the 2016 wines. Dark red colour. Highly concentrated and fully-bodied. Very fruity. Needs time to get rounder and will therefore profit from a long ageing in the bottle. Wet and cold weather in winter. Good flowering conditions, but the vines had to be submitted to several treatments to avoid diseases. Extreme heat at the end of June caused damages to many vineyards and reduced the yield. Harvest started in the first days of September and was done in general under a favourable weather. Remarkable quality. GOOD BUY (Revista dos Vinhos, nº 279, February 2013). Very rainy Winter. Due to unfavourable weather conditions during flowering there was some millerandage (poor and uneven fruit set), which made crop-thinning unnecessary. Heatness and humidity caused the need to treat the vines to avoid diseases. Summer was not as hot as in the previous years and there was even some rain, but two weeks before harvesting the maturation process benefited from a higher temperature. BEST OF THE WINE REGION 2009 (Revista de Vinhos, Feb 2010). Deep red colour. Fruity aroma with vegetal notes. Unctuous and full bodied. Balanced tannins. Long finish. Drinkable now, but will profit from a longer ageing. Impressive black colour. Concentrated aromas of ripe fruit. Full-bodied and fleshy. Well balanced, ripe tannins. Long, sweet finish. A very wet weather in winter and spring was followed by heat, specially in August when temperatures reached unusual levels. Harvest began in the first half of September, with the grapes showing a healthy state, high concentration and sweetness but a relatively low acidity. Yield was average; the quality was very satisfactory and, in some cases, excellent. GOLD MEDAL (Monde Sélection 2009, Bruxelles). Deep ruby. Still a bit closed in the nose. Great body, very full, large ageing potential. May throw a sediment because it has not been filtered. Dry winter with temperatures above average. Rainy and cold spring, which caused a late and scarce flowering. Maturation was done in excellent conditions, and wines showed a full colour and high concentration. A classic year for Port, but a very small production. Garnet colour. Coffee and fruit flavours. May throw a sediment because it has not been filtered. Lots of rain in January and February followed by a cold and dry March. The weather became hot in April, which was favourable for the flowering and ripening of the grapes. In August and beginning of September it rained again, but when harvest was done the weather turned hot and dry, producing very ripe wines. Pale brick colour fading to amber on the rim. The nose is complex and multi-dimensional, with aromas of butterscotch, apricot and exotic wood, and scents of violets and wild herbs, around a warm nutty core. The palate displays a smooth, silky texture and finishes with a burst of rich mellow flavour. An elegant, finely constituted wine, now fully mature and ready to drink. Extremely cold winter, late and scarce flowering. Hot summer, but good weather conditions for the picking. Tawny brown of medium intensity and a narrow amber rim. The nose of this wine is sumptuous in its richness and complexity. The undercurrent of creamy butterscotch aroma is overlaid with notes of vanilla and raisin, a discreet fragrance of violets and pungent resiny scents of garigue. The palate is round and velvety, finishing with a surge of rich caramel flavour. A seductive Vintage Port, one of the best examples from this year. A rather dry year, and just before the harvest the grapes in general had not yet reached the normal degree of maturity. Then the rain came, and the grapes gradually showed a bigger maturity. A period without rain and with a colder weather followed, which was most favourable for the fermentation process. Finally, a second wave of very heavy rain arrived and the weather got warmer. As a result of this, the wines reflected the conditions under which they were produced, the best ones having been produced in the absence of rain and under the colder weather. A classic year for Vintage Ports. The winter was average, with cold spells and rain. Spring was much cooler and wetter than normal, but the weather during the flowering was good. The summer was mostly dry, with long warm days. September was perfect for harvesting, with hot days and cool nights. Very dry and hot weather, giving origin to a small production of very ripe, sweet wines full of fruit and tannin. Pale tawny brown with a broad pale rim. The nose is reticent at first, opening on a nutty butterscotch note, but rapidly gains in complexity, releasing an array of warm spicy aromas and discreet balsamic fragrances of vetiver and sandalwood. The smooth silky palate is full of rich mellow toffee flavour but never excessively sweet or heavy. A very attractive and well balanced Vintage Port now in its window of peak drinking. Rainy winter and spring, followed by a very hot summer which caused an early maturation. Harvest started by mid-September, showing in general perfectly ripe grapes. Excellent quality, with elegant and well-structured Ports. Mild and wet year, with a cold and rainy summer. Autumn began under a high temperature, and then the harvest was done in perfect conditions. Irregular weather conditions. Vintage started in general in the last week of September. Some Ports proved to be of a very good quality. Only a very limited quantity of 1957s was declared.